So checking out the cigar it’s a pretty good looking cigar cigar with a dark wrapper a light sheen and minimal veins with a little bit of tooth. The construction is spongy with small spots of firmness and the wrapper is a little short on the foot. The pre-light aroma is odd in that is smells like Coco Puffs it really smells like a big bowl of cereal. From here I went ahead and cut the cigar with my V-Guillotine and check the pre-light draw and its near perfect. So I purchased this Alec Bradley Burner this evening because I saw it in the shop last time I was here and it looked pretty impressive. I know it’s not all that new but it always looked like a P.O.S. so I avoided it. Lately I have been looking at a bunch of different lighters that get to a really high temperature that would be good to toast and light my cigars. After seeing this in action it was exactly what I was looking for. If you haven’t checked it out here is a link: Alec Bradley Burner. Okay enough of the free advertising and back to the review. After a nice toast and light some of the first notes I got were Coco Puffs cereal, pepper and chalk. This really did taste like a bowl of cereal while I was smoking it. The Esteban Carreras 10 Anos Maduro had a ton of smoke which is pretty common for nearly all the box press cigars I have smoked. There was on issue and it was the chalky flavor, my mouth felt like I took an old piece of chalk from my elementary school and started eating it. The coco and pepper flavors were pretty different than any cigar I have tasted before it was almost like half a Drew Estate Java and half a normal unflavored cigar melded together. Now I haven’t smoked a Drew Estate Java in a long time but from what I remember it had some similarities. Through out the entire cigar the chalky taste did not go away and would be my biggest complaint. The ash color had heavy lines of dark gray with a light gray underneath and showed some minor flowering. The first ash fell at 1.5″ and the second I knocked off at 1.5″ just so it didn’t land on me again. This cigar to me was Mild-to-Medium Body cigar which was an easy smoke. 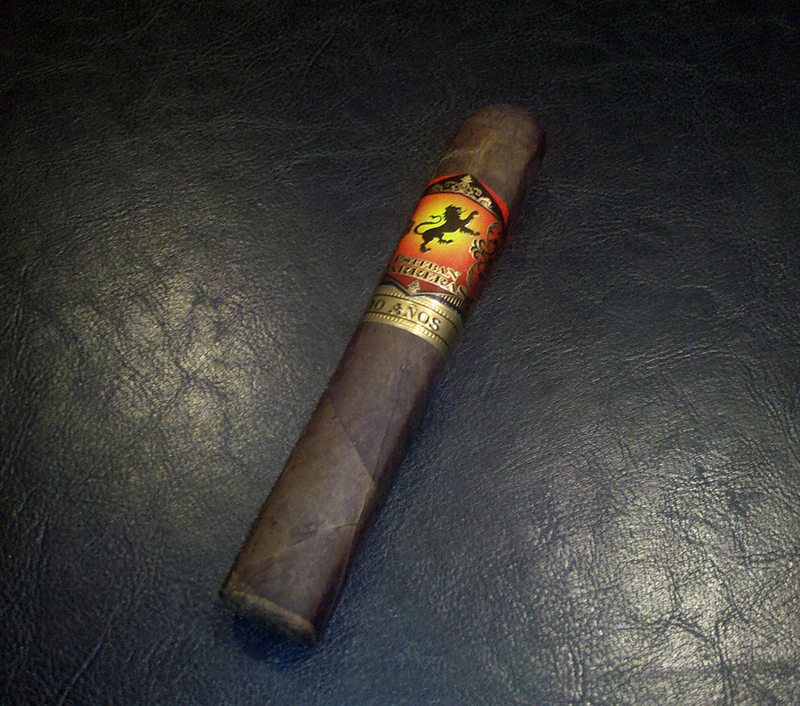 Nothing about this cigar blew me away but it wasn’t anything bad either. If I had another one I would smoke it but this isn’t a cigar I would go search out and purchase again. I would recommend this cigar to people who are wanting to make the transition out of flavored cigars. I think you will find the natural to be much better.